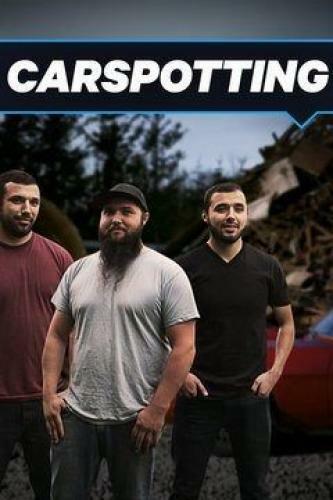 When will be Carspotting next episode air date? Is Carspotting renewed or cancelled? Where to countdown Carspotting air dates? Is Carspotting worth watching? Carlos buys a 1968 Mustang convertible and anticipates an easy build, but it quickly turns out to be anything but; Carlos luckily finds a buyer, but he wants a Shelby tribute Mustang, which is nothing like what Carlos and the crew had in mind. Carlos buys a 1970 Mercury Cyclone from a monster truck driver and works to turn it into a cop-themed hot rod for the town's retiring police chief; a tight budget and rare parts make the build a monumental challenge. Carlos finds a 1969 Camaro sitting in a barn, partially restored, and convinces the owner to give him the job of finishing it up. The guys visit an island in search of treasure, and strike gold- a 1955 Bel Air; the condition is rough, but could be a six figure sell in the end; Carlos locks in a high-end buyer who could make or break his business. Carspotting next episode air date provides TVMaze for you. EpisoDate.com is your TV show guide to Countdown Carspotting Episode Air Dates and to stay in touch with Carspotting next episode Air Date and your others favorite TV Shows. Add the shows you like to a "Watchlist" and let the site take it from there.